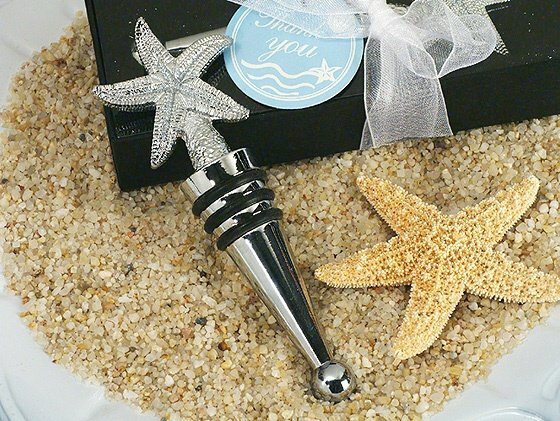 Top off your special day by presenting your guests with a charming Starfish design bottle stopper. Perfect for your destination or beach themed wedding, each solid chrome stopper is accented with a detailed starfish design top. Favors come ready to give in a delightful black velvet lined gift box then finished with an organza ribbon and a beach theme thank you tag. Measures 4.5" tall.